"Please review the information Flight Service can provide while enroute." 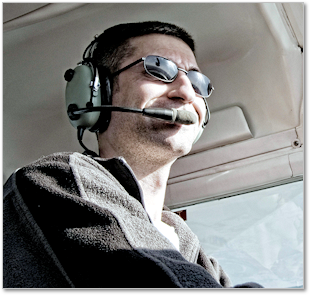 - Chuck H.
"Flight Service Stations provide a variety of services including pilot briefings, weather observations, Pilot Reports (PIREPS), flight plan processing, enroute radio communications, search and rescue services, assistance to lost aircraft and aircraft in emergencies. Flight Services can also relay ATC clearances, process Notices to Airmen, broadcast aviation weather and aeronautical information, and notify Customs and Border Protection of trans-border flights. Flight Service historically provided a Flight Watch service over special frequencies from a limited number of trained specialists who had access to the needed technology. This service was discontinued in 2015 and consolidated into routine inflight frequencies to eliminate unnecessary duplication of service. With this new approach a pilot can obtain all services that Flight Service has to offer with one call. The service will now be available on the same frequencies used to open/close flight plans or to receive updates on Notice to Airmen (NOTAMS) or Temporary Flight Restrictions (TFRs). If you want a full route briefing while enroute or other service such as filing a flight plan, you can call up Flight Services on their published frequencies. These are found above the VOR frequency identification boxes on aeronautical charts. The most common frequencies are 122.2, 122.4, or 122.6 MHz for two way communication. Receiving on the VOR frequency is shown by the Bold R in the frequency box over the VOR."